Team Sound has recently released the Go Box, a wonderful MIDI interface to work with QLab and your other MIDI-capable programs. For those of you who use programs like QLab or SFX, this is a wonderful solution to automating control of your system at the touch of a button. Instead of pressing the space bar hundreds of times for every show, you can simply plug in one of these interfaces and save the stress on your keyboard. 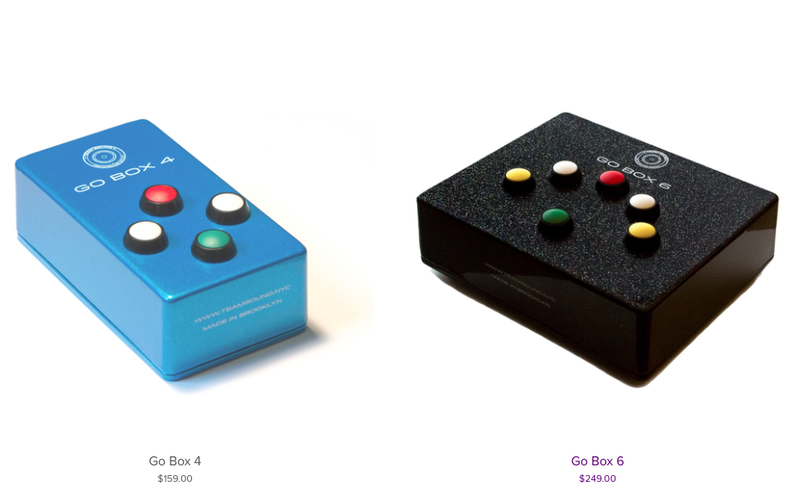 The Go Box 4 features four buttons, and the Go Box 6 has six. Each model works in a similar fashion, with the buttons serving as MIDI remote triggers. There is no driver software required, either, so it is a remarkably simple setup. Each button sends a MIDI signal through the USB on channel 16. 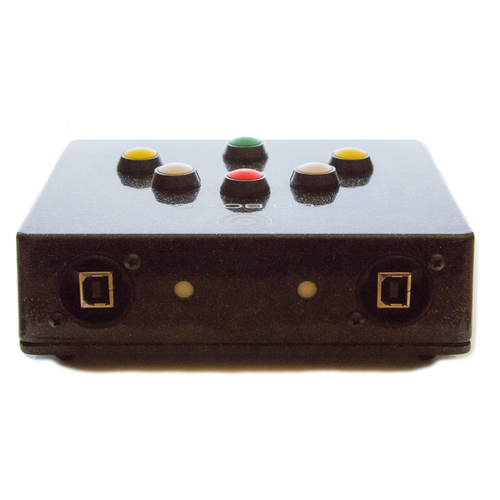 The signal is a Note On message with a velocity of 127 when the button is pressed (notes 1-4 on the Go Box 4, and notes 1-6 on the Go Box 6) and a velocity of 0 when the button is released. The Go Box 6 is ideally suited for a redundancy rig. A redundancy rig is a collection of two show control computers running their workspaces simultaneously. Both are connected to output to your system, typically including a manual switch to change output from one unit to another should the need arise. 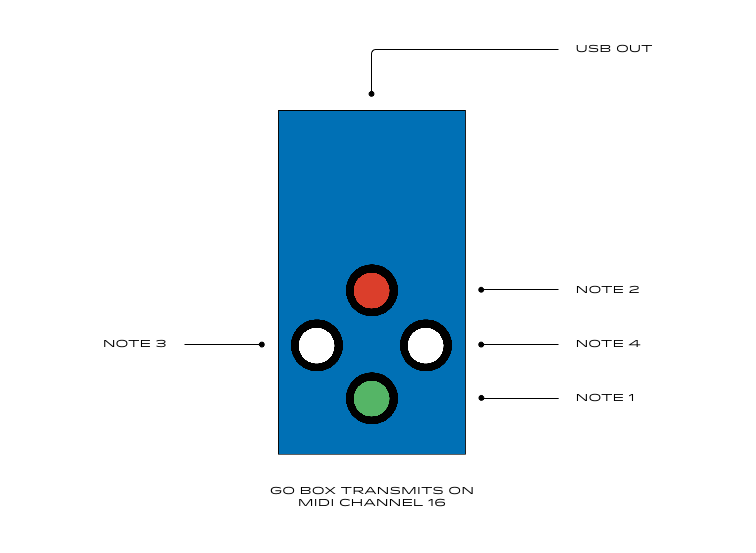 The Go Box 6 features two USB connectors, meaning that each button sends MIDI signals to both computers simultaneously. By using this unit, there is no need for a separate go button for each show control computer. This summer, I got to help my wife Kate Hopgood set up a new QLab rig for The Michigan Shakespeare Festival, where we are both Artistic Associates. Kate’s preferred setup is to have a tech table in the auditorium networked to the show sound computer running QLab. By using screen sharing, she can sit with the Stage Manager at the remote computer. This gives her the opportunity to make changes as necessary while the SM gets used to calling the show and running QLab, but from the relative comfort of the auditorium. This year, we integrated a Go Box 4 into the system and the Stage Manager loved it. No more accidental bumping of the space bar or worrying about the double click. The best part was the setup, though. The only aspect that had to be changed was making sure the remote computer was running a QLab workspace (pro version) with OSC commands pre-programmed into it. The Go Box was plugged into the USB port of this computer, which then triggered OSC cues to be sent through the Ethernet cable to trigger cues in the show computer’s QLab workspace. Once tech was done, striking the tech table was basically coiling up the network cable and plugging the Go Box into the show computer in the booth! For those of you looking to simplify your sound or show control setup, I would highly recommend the Go Box. 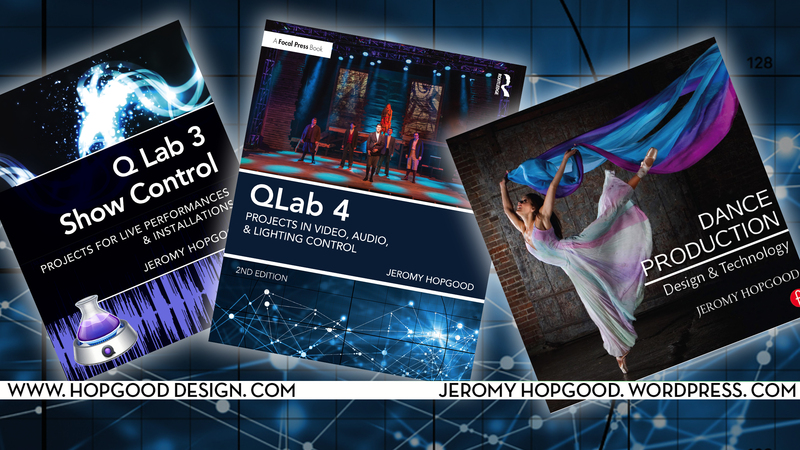 Full disclaimer – having written a book on QLab 3 show control, I have gotten to know a lot of the Figure 53 gang pretty well. Team Sound is the work of Brooklyn, NY based sound and projections designer Sam Kusnetz, who also happens to work for Figure 53. Neither I, nor Team Sound, are affiliated with Figure 53, LLC. As Sam puts it on the Team Sound website, we’re awfully big fans, though. *Editorial note: I made a few minor corrections to this post after the first upload.